Momentum Release New Trailer for James Watkins’ Supernatural Thriller 'THE WOMAN IN BLACK'! Momentum Pictures have released a second trailer for James Watkins’ supernatural thriller The Woman In Black. The upcoming adaptation of Susan Hill's Novel of the same name stars Daniel Radcliffe as Arthur Kipps, a lawyer who is forced to leave his young son & travel to a remote village to attend to the affairs of the recently deceased owner of Eel Marsh House. Working alone in the old mansion, Kipps begins to uncover the town’s tragic & tortured secrets & his fears escalate when he discovers that local children have been dying under mysterious circumstances. When those closest to him become threatened by the vengeful woman in black, Kipps must find a way to break the cycle of terror.. 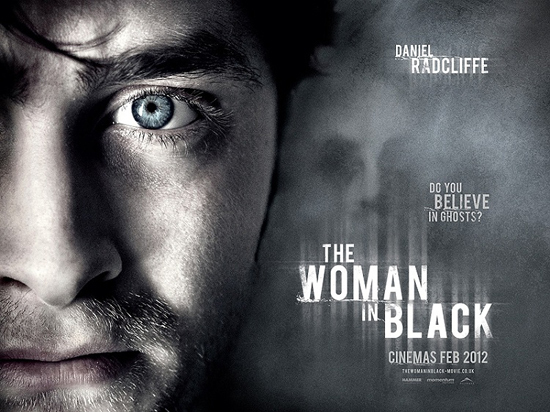 The Woman In Black hits UK theaters Febuary 10th 2012 & Febuary 3rd 2012 in the US. The movie also stars Ciarán Hinds, Janet McTeer, Alisa Khazanova, Mary Stockley & Lucy May Barker. Hit the jump to check it out. I'm reading: Momentum Release New Trailer for James Watkins’ Supernatural Thriller 'THE WOMAN IN BLACK'!Tweet this!